This is the album that moves Chance from outsider to establishment for me. He’s been doing well for himself, from opening Kanye’s The Life Of Pablo to being the centerpiece of 2015’s Surf and that’s great to see. His raps are so sincere and so joyful that he’s impossible to hate. He’s just a lot of fun to listen to. 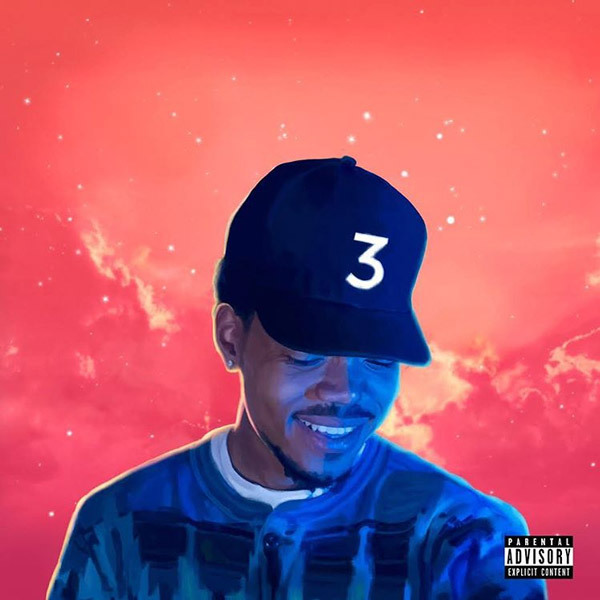 Coloring Book takes all of him, adds a number of star collaborators and a ton of gospel and blends it together into an undeniably excellent album. He goes from running his verses with a laid-back Weezy verse over an upbeat vocal backing in “No Problem” to posturing with Thugger and Lil Yachty on “Mixtape” to heartfelt in the slower “Juke Jam” and highly personal tale of growing apart “Same Drugs.” Despite some more forgettable cuts to fill the album out, this is one of the best rap albums of the year and definitely worth a listen.